PRICE ADJUSTMENT!! 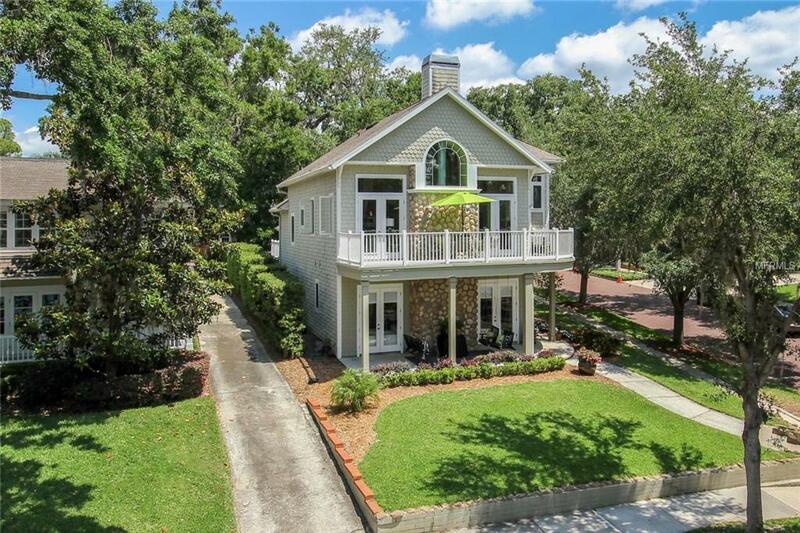 Lake Ivanhoe's Historic District, one of College Park's most sought after neighborhoods. There are not enough words to describe everything this custom built home has to offer. From the moment you walk in you get an open, airy and spacious feeling all overlooking Little Lake Ivanhoe, one of Orlando's most scenic lakes. Enjoy boating, paddle boarding, skiing and nature!! This home was thoughtfully designed and engineered to embrace all of the beauty this community has to offer. It combines sophistication with nature to create the perfect balance. There is no detail unattended to. The open floor plan features a large living space and kitchen on the same level. French doors lead to the wraparound balcony showcasing the best nature has to offer, sunrise to sunset. Enjoy the massive stone fireplace, lighting made easy with a gas starter switch. Want to have a little private space? Take a few steps up to the studio/loft or a few steps down to the library, 4th bedroom and open deck. Now for the best part.. Imagine retreating to your master bedroom and opening the french doors overlooking the lake. Enjoy your favorite coffee or libation relaxing on the open porch being surrounded by undeniable beauty as the light reflects from the water. Chilly evening? There's a fireplace with a vintage mantel waiting to be lit for your bedside enjoyment. This master bedroom and bath were designed for luxury, to say the least. Enjoy every moment. This home is truly one to be enjoyed and cherished! !